Britannia Country House Wedding UpLighting. 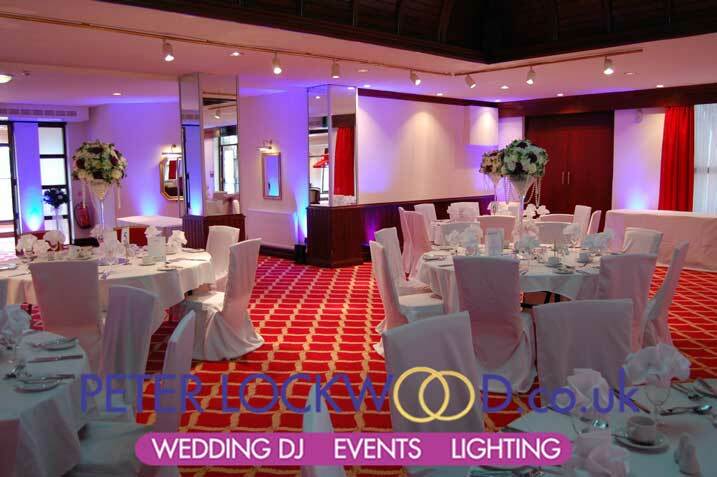 I provided uplighting for a Wedding in one of the function room. 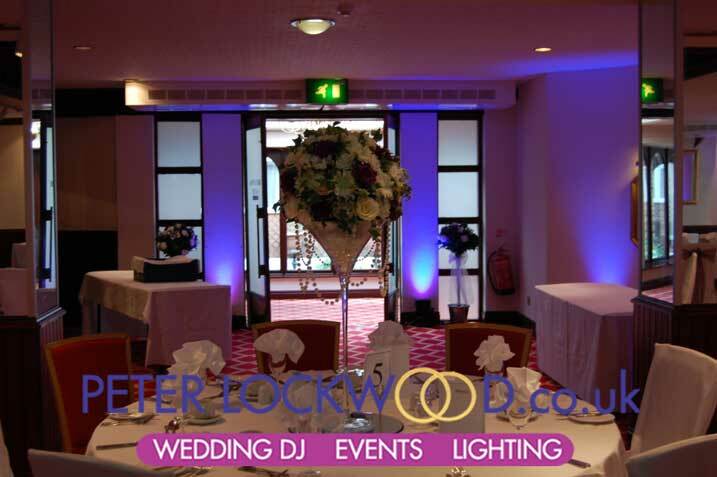 The bride was staying in the hotel and came down just as I had finished setting up the lighting on purple. She wanted a bit more pink in the lights 10 minutes later all done. The hotels web site link is here my Contact details are at the right of the page. 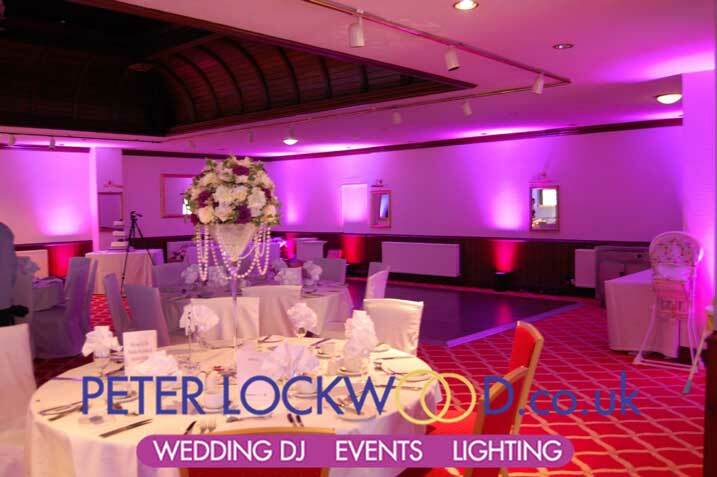 To get up lighting like above in Britannia Country House for your Wedding or Event on your choice of colour is £325.